DJ, producer, remixer, record label head honcho and 3 times Olympic Gin & Tonic champion, Dicky Trisco is addicted to the way music connects people and makes for better days. A night owl since he was born, he has devoted his life to mastering the ways of the night and the art of the discotheque. As a disc jockey, DT packs a little bit of everything into his sets and is committed to the idea that music and club nights should be all about collective joy and ecstasy. Some call it having a good time. These days Dicky tours the world constantly looking for the next party…often with his DJ partner and fellow disco deviant, Pete Herbert. 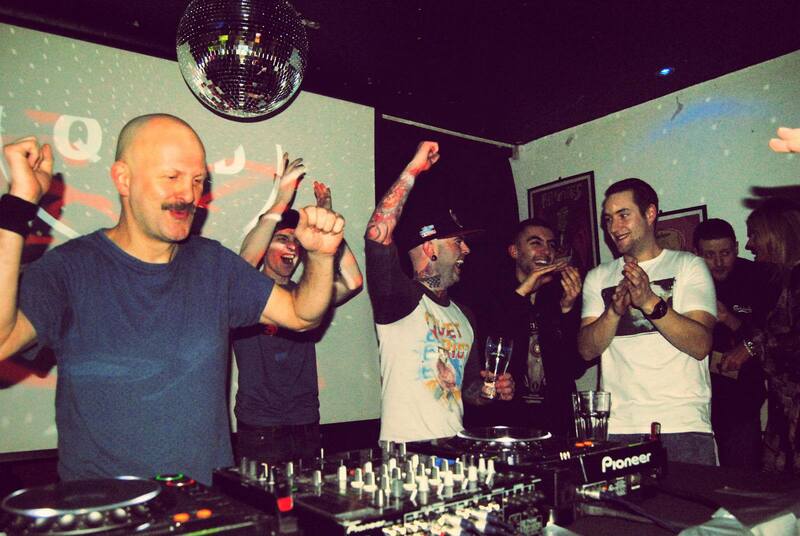 Pedro & Dicky have produced many tracks, remixes and reworks together, as well as knocking out countless DJ mixes. They play regularly together back to back and all night long, and have turned up for numerous late night hotel breakfasts still in peak condition. Whether it be beach parties, after parties, underground disco dens, super clubs, supper clubs, hippie markets or festivals, DT is always ready to rock the dance floor and has done so all around the world with regular tours to South America, Japan, China, South -East Asia, Australia and the USA as well as all over Europe and the UK. Plus annual appearances at events like Mareh Festival, Electric Elephant, Festival No 6, Glastonbury and out in Ibiza at super clubs like Space.